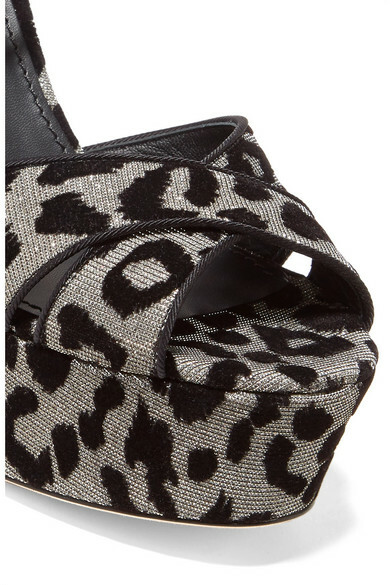 Animal print is the next big hit for shoes and few do it better than Dolce & Gabbana. These sandals have been made in Italy from metallic canvas flocked with the house's signature leopard spots. They're set on chunky wide heels and thick 40mm platforms. Wear yours with the label's black midi dress. Shown here with: Edie Parker Clutch, Kenneth Jay Lane Ear cuff.